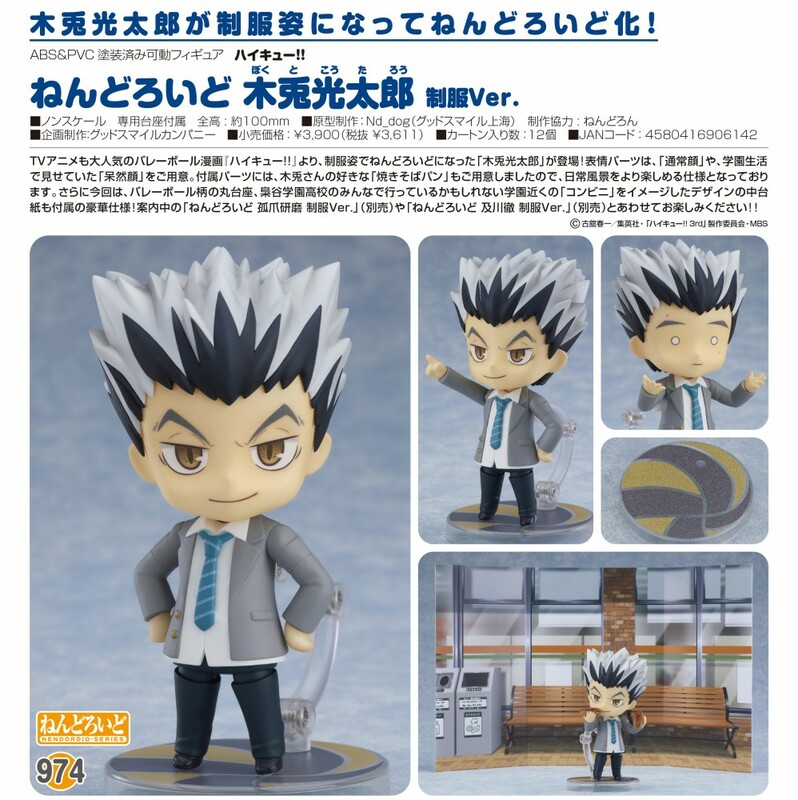 974 Nendoroid Kotaro Bokuto: School Uniform Ver. 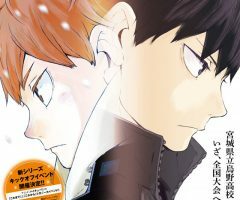 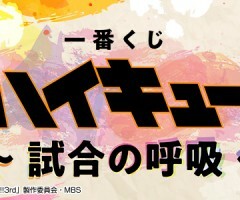 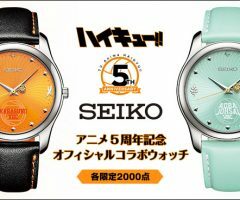 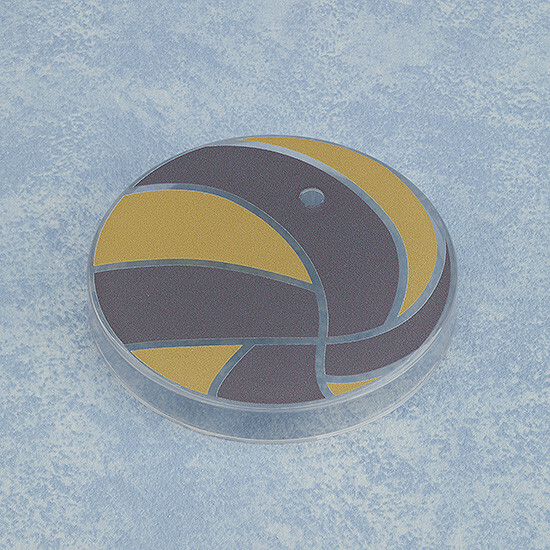 From the popular volleyball manga series with an equally popular anime, ‘Haikyu! 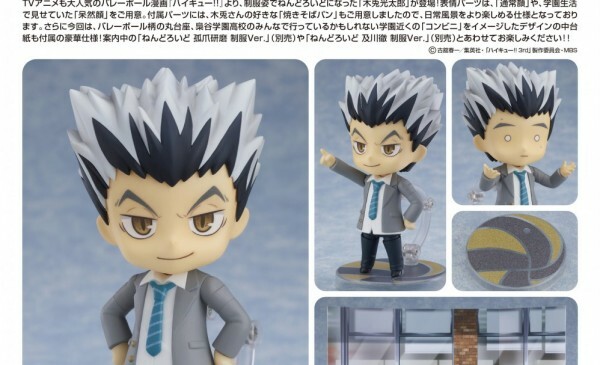 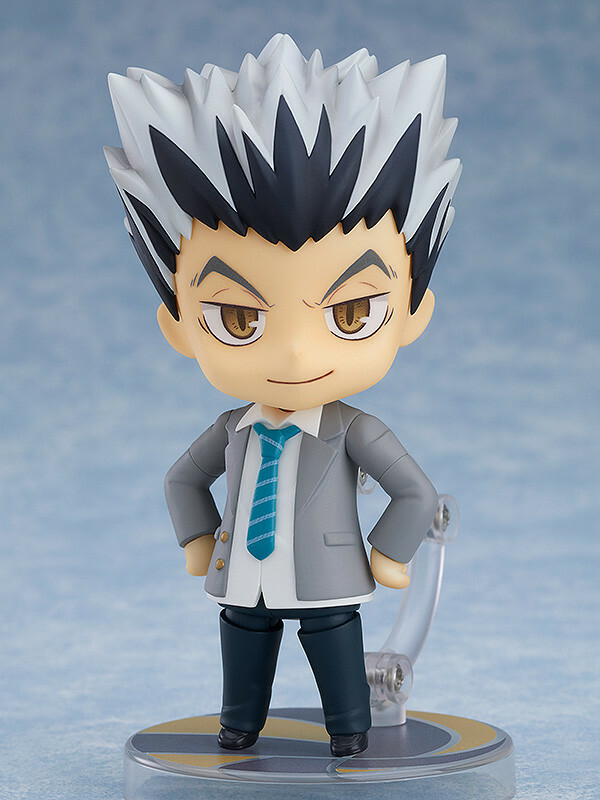 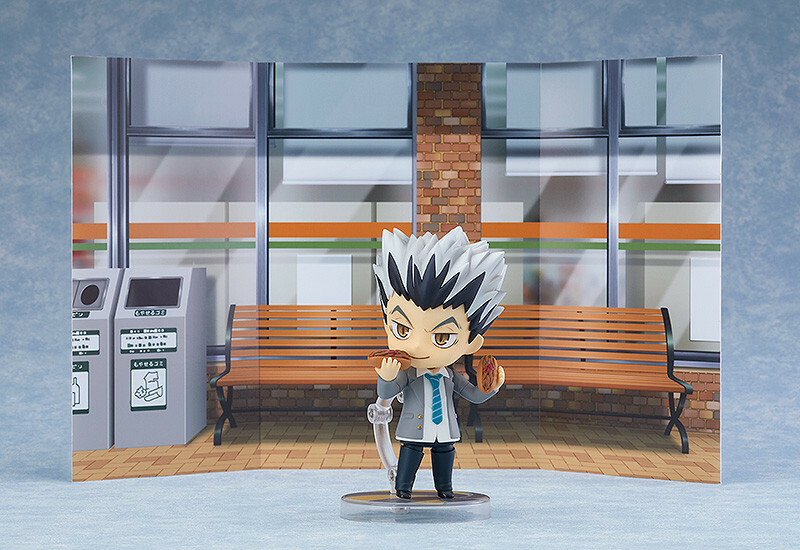 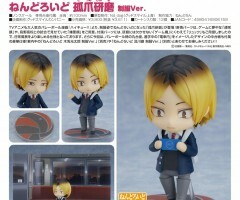 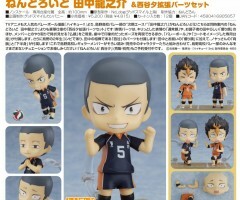 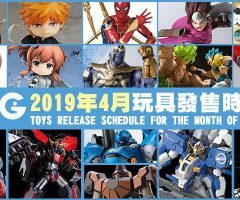 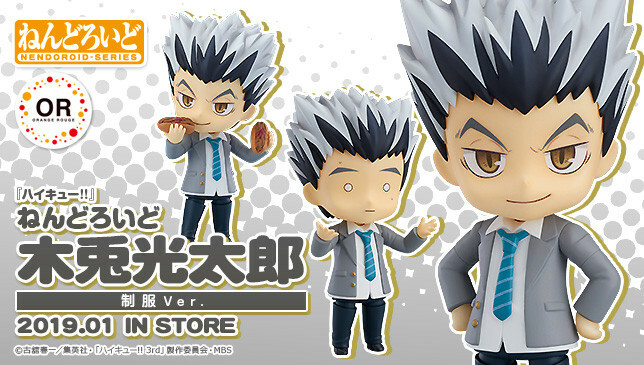 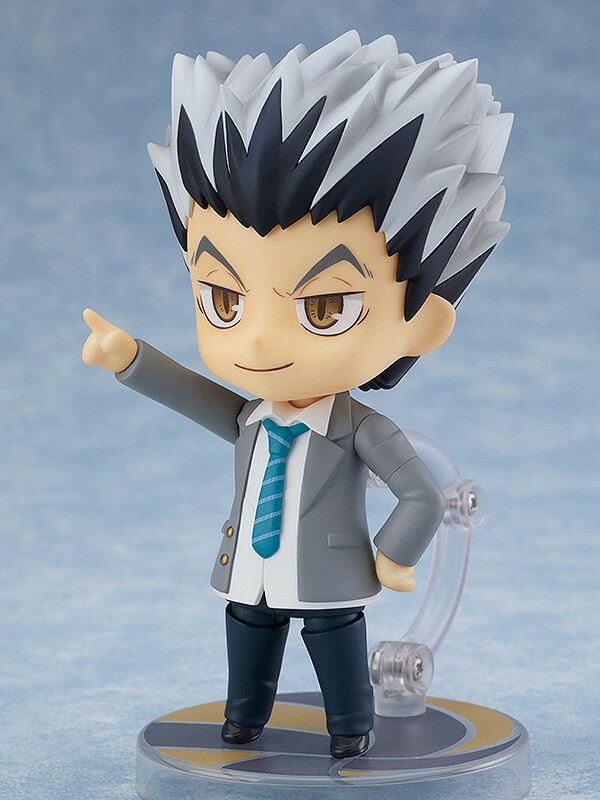 !’, comes a Nendoroid of Kotaro Bokuto wearing his school uniform! 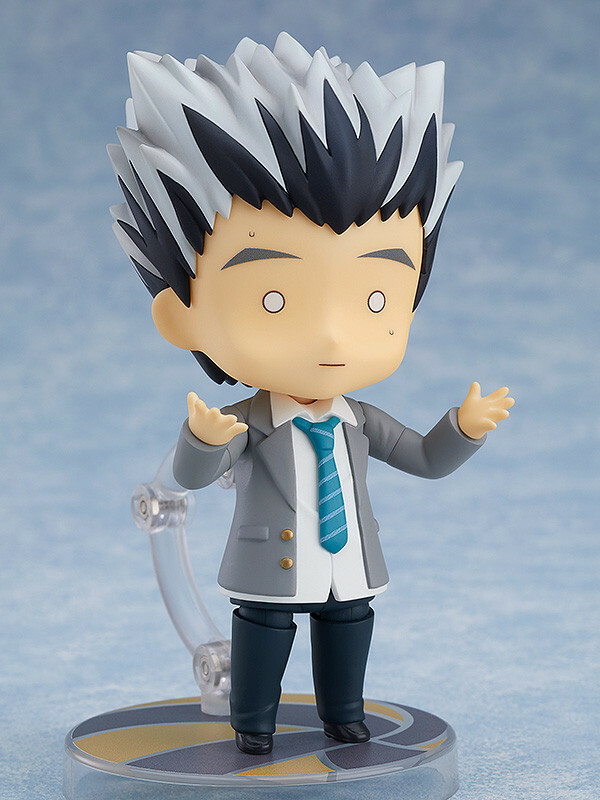 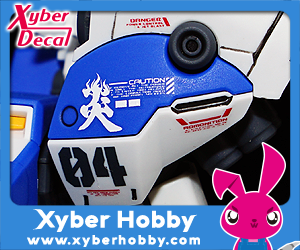 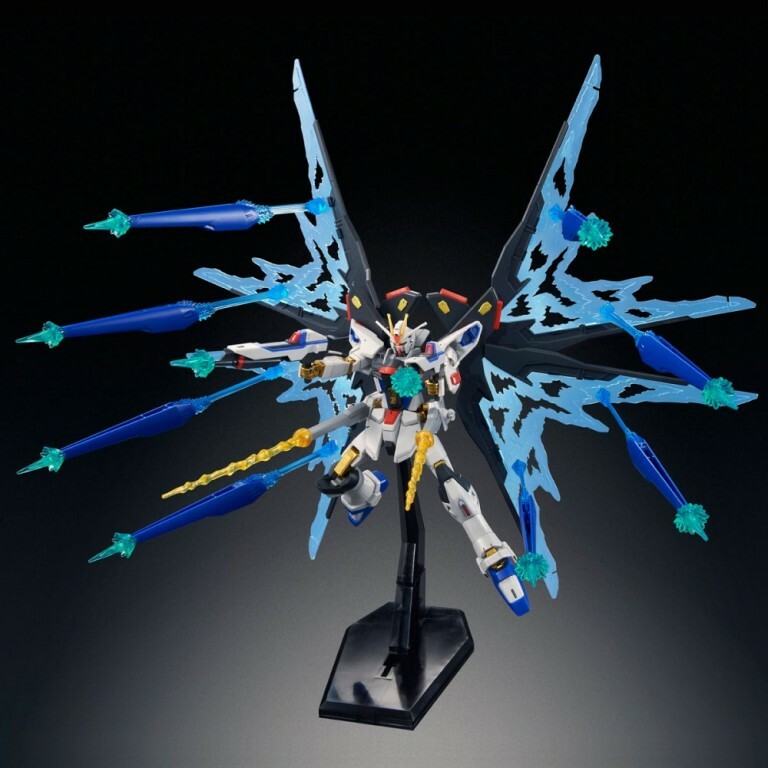 He comes with both a standard expression as well as a the dumbfounded expression that he sometimes showed at school.